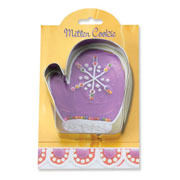 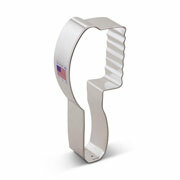 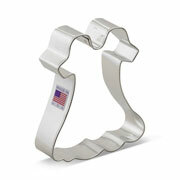 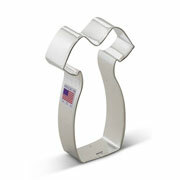 Ann Clark's dress up cookie cutters are perfect for kids' parties, holiday parties, weddings, and sporting events. 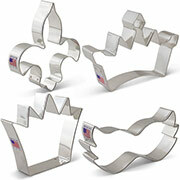 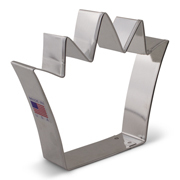 Find the perfect princess crown cookie cutter for your little lady. 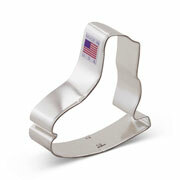 Choose the versatile t-shirt cookie cutter and decorate it as a jersey, scrub, or tie-dye shirt. 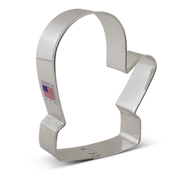 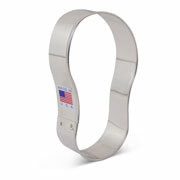 Our ugly sweater cookie cutter is fitting for holiday parties or can double as a hockey jersey. 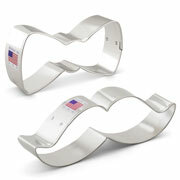 Need a mustache for "Movember"? 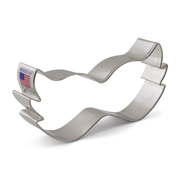 Our mustache cookie cutter has that covered too. 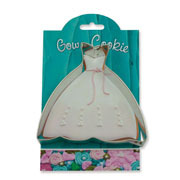 No matter what your fashion preference, Ann Clark has a cookie cutter to "suit" the need. 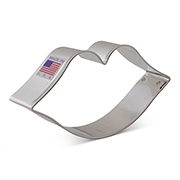 Bow Tie 4", Mustache 5 1/4"